But right up there in the list of experiences (for which I admit a touching-distance rendezvous with Puffins is hard to beat) was the fact that the cottage I was staying in had breeding Swifts. With fewer and fewer nestsites available to them in gaps in soffits and eaves, there is real concern about their numbers in Britain. My rented cottage clearly had what they needed, however, as every morning, every evening and at intervals throughout the day, small groups of adults would come in, presumably with a saliva-soaked ball of insects in their throat to feed to their chicks. It was a chance for me to try out some ‘Swifts in flight’ photos. This was as good as they got! In they’d come in a low-level approach, reducing their wingbeats to a stiff flutter, sometimes looping right around the house and screaming in excitement. I say ‘excitement’, but we still aren’t absolutely sure why they should scream. The best bet is that it is all about social cohesion – Swifts do like to nest and travel in little groups and maybe it is a way of getting to know each other and bond. What we do know is that Swifts are very loyal to their partner and to their nest site, and the same pair can return year after year to the same site. 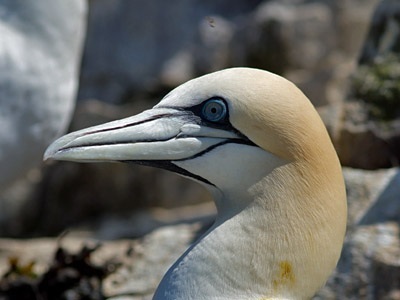 After their brief, three-month sojourn in the UK for breeding, they head off to Africa, and it is thought that pairs don’t try to stay together for those nine months away, so you can sense why they have such delight, all pumped up with breeding and parental instincts, when they do arrive here. 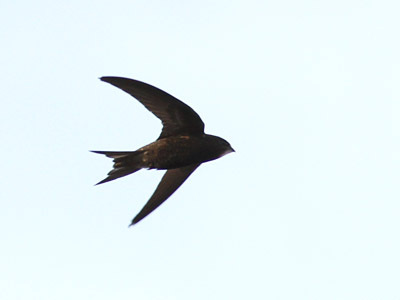 That time to leave is now upon us – few Swifts will be left in the UK by the end of the first week of August. So enjoy them while you can, and do think about whether you have a suitable site for a nestbox for next year. All the instructions are here. I’ve put my box up, and it is now a waiting game. There is no guarantee of success, but with the Swift populations in peril, it is definitely worth a try. We were inspired by an Oxfordshire project: actionforswifts.blogspot.co.uk/.../swifts-and-churches-in-cherwell.html and they very kindly offered their time and resources. Bravo, Vanellus! Did you put up the box just as local people taking the initiative? Great that the tape-calls have had some interest. These things do take time with swifts. And great that you even tried the box, Wildlife Friendly. That's all part of giving nature a home, isn't it? Giving things a whirl and just being fascinated by whatever the outcome. I put up a swift box and the hornets took up residents. It's not such a bad thing, we don't get swifts here, only swallows so at least it got used. Our local church has let us install nest boxes in the tower. 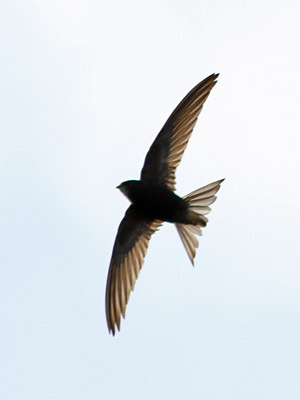 We have played a recording of swifts screaming that has attracted a small flock. We hope they return next year and use the boxes.